Today’s 21st Century jobs usually demand higher education and specialized skills to earn one’s way into the middle class. 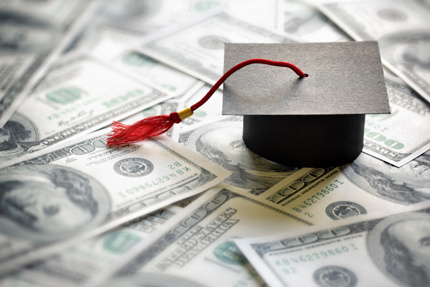 In households where educational loans are inevitable, it becomes an important family decision to determine which institutions are actually worth the debt incurred. Equally important is the institution’s likelihood of seeing students through to graduation. Higher education institutions that do not provide their students and graduates with requisite skills and knowledge become money pits that lead to deeper debt and likely loan defaults. New research by the Center for Responsible Lending (CRL) analyzed student debt on a state-by-state basis. An interactive map of CRL’s findings reveals on a state basis each of the 50 states’ total undergraduate population, for-profit enrollment, and the top for-profit schools by enrollment for both four-year and two-year institutions. Entitled The State of For Profit Colleges , the report concludes that investing in a for-profit education is almost always a risky proposition. Undergraduate borrowing by state showed that the percentage of students that borrow from the federal government generally ranged between 40 to 60 percent for public colleges, compared to 50 to 80 percent at for-profit institutions. These two personal experiences are magnified across the country with high female for-profit college enrollment. For example, the Midwestern states of Indiana, Michigan and Wisconsin have female-dominated for-profit enrollment and disproportionate Black enrollment too. These were also states with some of the lowest for-profit graduation rates after six years of study. These disparate outcomes are even worse when one takes into account that for-profit colleges are primarily funded by taxpayers, receiving up to 90 percent of their revenues from federal financial aid such as Pell Grants and federal student loans. Veterans’ educational benefits are additional taxpayer-paid revenues. These and other findings document how Americans are investing heavily in higher education. But in large part, the choice of institution determines whether they will receive what they paid for: gainful employment. Charlene Crowell is communications deputy director at the Center for Responsible Lending .